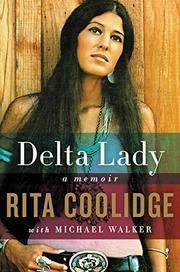 A surprisingly rich memoir from a two-time Grammy winner and acclaimed backup singer. Amid a glut of rock memoirs, it seems that anyone who ever had a hit has written a book, and Coolidge wouldn’t seem to have the richest story to tell, as she is best known for a tepid 1970s remake of “Higher and Higher” and as the lower-profile spouse in her tempestuous marriage to Kris Kristofferson during that time. However, in a manner that rarely seems gossipy and never salacious, the author presents her perspective on the sea changes that rock underwent in the early 1970s, an era in which she played a key role in the careers and lives of Leon Russell, Joe Cocker, Eric Clapton, and Crosby, Stills and Nash. “If you look back at this period in my life, it might seem like I was sleeping with every guy in town,” writes Coolidge. “I wasn’t. Leon and I were together for close to a year, same with Graham.” She details the seismic shifts that took place as Russell joined forces with Delaney and Bonnie, then stole their band for the Mad Dogs and Englishmen tour that almost ruined Cocker, and Eric Clapton forsook the supergroup status of Cream and Blind Faith to fall under the Southern sway of Delaney Bramlett. The drummer through much of this period was Jim Gordon, whose demons would lead him to beat his girlfriend, Coolidge, unconscious and later murder his mother. The author also recounts how routinely Delaney battered Bonnie as well as Ike Turner’s mistreatment of Tina. She saw marijuana give way to cocaine and heroin as British rock stars in particular developed a sense of entitlement. “I wanted to say, What is wrong with you people? What did your mother teach you?” writes Coolidge, who comes across as not all that deep but uncommonly decent. The instant attraction with Kristofferson and volatile estrangement receives a full airing, as well. Where memoirs from bigger stars often fail to deliver, this illuminating autobiography exceeds expectations.